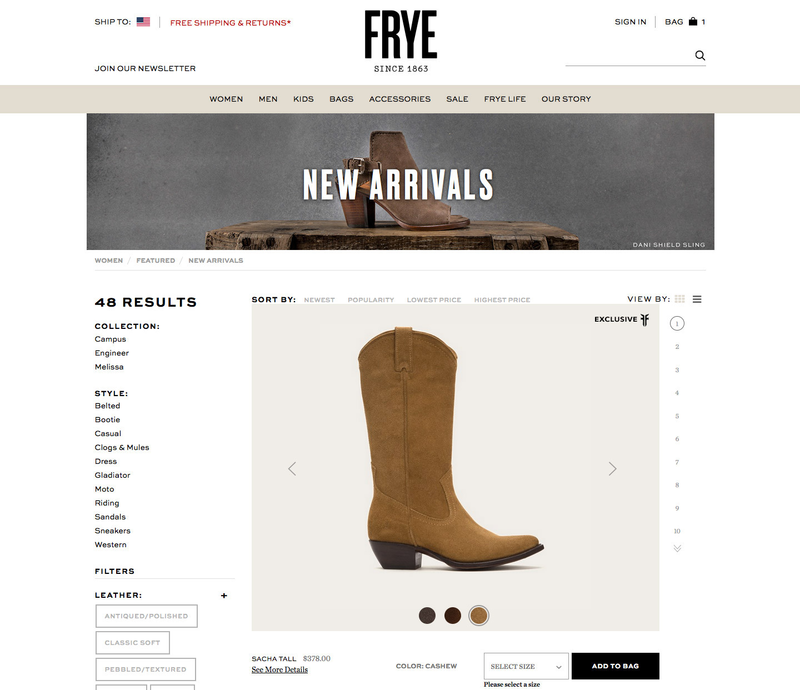 The client needed a small-desktop size feature that we called "Explorer View", where the product image was displayed in full view and the pagination was re-interpreted as a side navigation option which updated to show which product the user was viewing as they scrolled down the page. 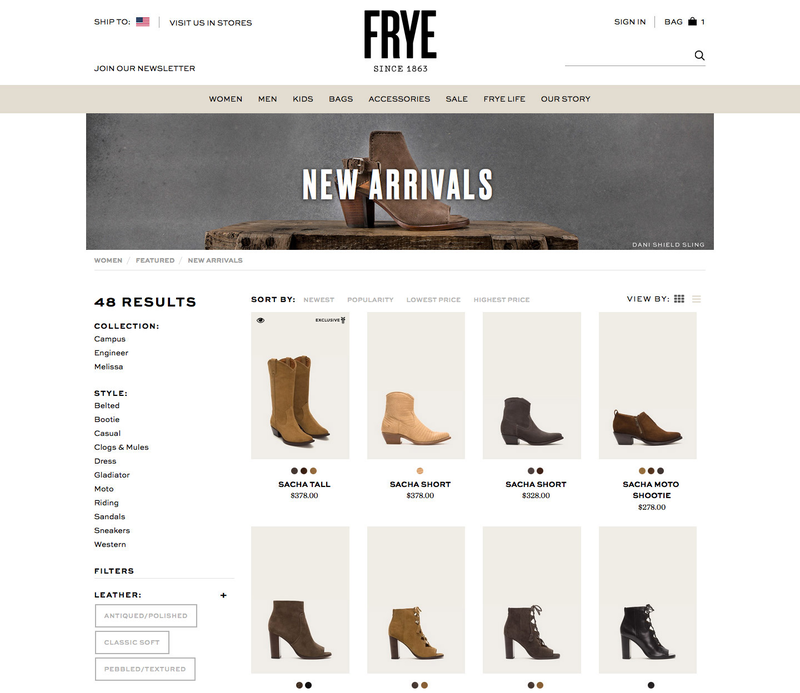 Multiple paths of discovery concluded that the side navigation would be a numbered list and as the user scrolled down the page the active product they were looking at would be marked in the list. We set the number of products to show in sets of 10, and more were loaded after the user scrolled down and hit the bottom of the page results, turning the scenario into an Infinite Scroll. The user was also able to use the Filter Sort and change the order of the results based on Newest, Popularity and Price Points. The user could also go back to a regular view of tiled products which showed 4 per row.